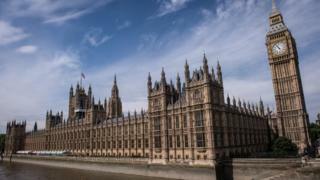 A senior Conservative MP has criticised the government's response to a Commons vote against its welfare plans. The Tories did not contest Wednesday night's non-binding vote, which called for universal credit to be paused, handing Labour a symbolic victory. The tactics - and the lack of ministerial response after the result - have been criticised. Sir Edward Leigh said: "The road to tyranny is paved with executives ignoring Parliaments." Sir Edward - who warned after the vote about Parliament being reduced to a "university debating society" - called for a "meaty" government statement in response. "Parliament does matter," he added. Commons Leader Andrea Leadsom said that while the government was not bound by the result of the opposition day debate, it was "listening". Action to drop charges for phonecalls to the universal credit helpline had been taken as a "direct result" of MPs' concerns, she said, promising further statements from ministers "as soon as there's more to tell the House about the achievements that have been put in place". But Labour's shadow Commons leader Valerie Vaz accused the government of "game-playing" over the vote. "This is where we make the law," she said, adding: "This is a disorganised government that is disrespectful to the House." Wednesday's debate came with opposition MPs - and some Tories - calling for changes in the way universal credit is being rolled out across the country. But only one Conservative MP, Sarah Wollaston, defied her party whip and voted with Labour. Amid highly-charged exchanges after the vote, Speaker John Bercow said it was a "statement of fact" Labour's motion was passed, adding the government should explain to the Commons what it intends to do. "This institution is bigger than any one party, and frankly it is bigger than any one government," he said. "This place and what we do here matters very much."